Full length Twilight Zone episode with Kumail Nanjiani as ” The Comedian” who makes a Faustian bargain for laughs. 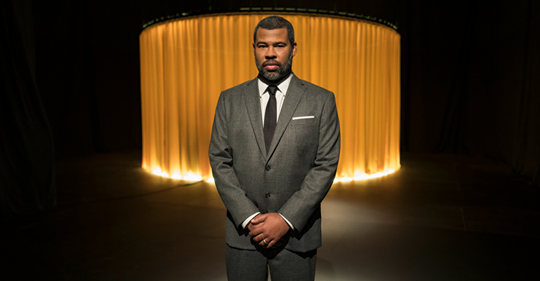 As a side note, Entertainment Tonight recommended 10 Classic Twilight Zone episodes to watch before seeing Jordan Peele’s Twilight Zone Reboot- of course diehard Twilight Zone fans know these episodes by heart and will agree they are the cream of the crop. I’m just stoked because my favorite episode, ” Will The Real Martian Please Stand Up” was included. And the episode that sadly reflects the climate here in the United States right now, ” The Monsters Are Due on Maple Street ” which I also loved because of it’s slow burn nightmare quality is on this list too. So enjoy your trip back to The Twilight Zone…it’s still easy to find just look for the mile post up ahead.